Johnnie Walker-maker Diageo announced bumper 2018 full-year results this week, hitting £12.16 billion – up 5% (all on an organic basis). Every region was in growth, with Asia Pacific enjoying 7% growth, Latin America and Caribbean seeing 7% gains, North America and Europe on 4% and Africa climbing 3%. Booze-wise, it is Tequila, gin and baijiu leading the charge (Don Julio +39%, Tanqueray +15%, and Shui Jing Fang +63%), and Scotch is also doing well, with Johnnie Walker up 5% and the Classic Malts portfolio climbing 1%. Not so for Diageo’s Smirnoff, Cîroc and Ketel One vodka brands, which, despite showing some improvements, still fell by 2%, 2% and 1% respectively. Ivan Menezes, Diageo chief executive is nonetheless pretty pleased. “These results reflect the high performance culture we have created in Diageo, the ongoing rigorous execution of our strategy, our focus on the consumer and our ability to move swiftly on trends and insights,” he reckons. Sticking with the finances, and LVMH’s wines and spirits division Moët Hennessy said its 2018 got off a “good start” in its half-year results. Revenues climbed 7% (organic) to reach €2.27 billion (about £2.02bn), with Cognac sales up 8% on “strong growth” for Hennessy in the US and China. Glenmorangie and Ardbeg also did well, as did Belvedere vodka, which has become one of the most eco-friendly distilleries in the world, according to the statement. The Champagne portfolio meanwhile managed 3% organic gains. Chairman and CEO Bernard Arnault was pleased. “The excellent results of the first half of the year attest to the strong desirability of our brands and the effectiveness of our strategy.” Marvellous! Glenfiddich malt master Brian Kinsman and his team have emerged from the laboratory with a new Experimental Series release in hand – Fire & Cane! The fourth release in this already popular range sees the marriage of smoky and sweet, as it’s a peated whisky that has enjoyed a three-month finishing period in rum casks. 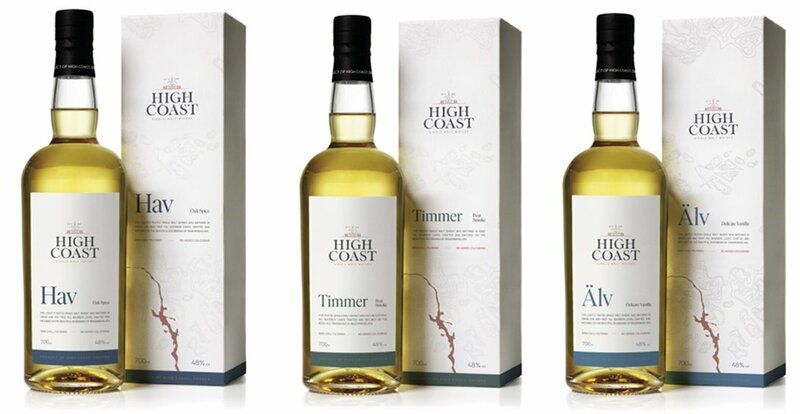 Of course, they didn’t just grab any old rum barrel – Kinsman sourced rum casks from a selection of South American countries to play nicely with the intense, peat-driven flavour profile of the single malt. Expect to see Fire & Cane on our shelves later this year. It seems there’s no stopping the Gin Juggernaut, or Giggernaut as nobody has ever called it. At the IWSC (International Wines & Spirits Competition) Awards this week there were over 600 gins entered, up nearly 50% from last year and for the first time the junipery ranks overtook the number of Scotch whisky entries. A spokesman for the IWSC told us: “I don’t see the gin boom stopping.” And the gin craze is global, as evidenced by the winner in the much-contested London Dry Gin category, Scapegrace Gold Gin, which hails from New Zealand. A report by the IWSR and just-drinks shows that 2017 global gin sales rose by 7.4% year-on-year to nearly 35m nine-litre cases, there’s even more to come with growth expected until 2021. All the major gin markets are expanding… except one, America. Come on America, pull your finger out! Look out, China – English wine is coming! Bolney Wine Estate has touched down in China! English wine has come on in leaps and bounds in the last few years but until recently the vast majority was drunk on these shores. Now though, winemakers are looking further afield: Bolney Wine Estate has just become the first English wine producer to be distributed in mainland China, the world’s fastest growing wine market, It will be exported by The British Bottle Company, a business founded by Red Johnson (son of legendary wine writer Hugh Johnson) that has pioneered the export of English wines around the world. Chinese distribution will be handled by Guangzhou importer The Wine People, founded in 2016 by Claire Murray and Christian Rank. “Bolney Wine Estate is going from strength to strength,” said Sam Linter, chief winemaker of Bolney Wine Estate. “We’re incredibly proud that its popularity is now global, and not just for sparkling but our incredible still English wines too.” Shipments of both still and sparkling have already started with Bolney wines poured at a recent dinner hosted for HRH The Duke of York at the Shenzhen Bay Club. We are sure the wines met with the royal approval. Just in case you missed the memo, it’s HOT here in the UK. As it is across loads of Europe, Asia, and indeed the Northern Hemisphere. Which makes this next story all the more remarkable. On Tuesday (when it was BOILING. Still is.) Douglas Laing chairman Fred Laing and GreatDrams.com founder Greg Dillon battled it out on the squash court, instead of sheltering under the nearest air con unit like the rest of us. “WHY? !”, we ask. To raise money for charity! Originally the prize if Laing won would be a Crunchie bar (his fave), and if Dillon triumphed, a bottle of Port Ellen would be forthcoming from Laing’s personal collection. In the end, they decided the bottle would be auctioned, with the proceeds going to Ollie’s Army, a fund that supports a family in their fight against Batten Disease, a fatal genetic disorder which affects two of their four children. The particular bottle is a Port Ellen 34 Year Old that originally retailing at £1,500. It was distilled at the iconic closed-and-soon-to-reopen Islay distillery in May 1982, matured in a reﬁll hogshead cask – barrel DL#11481 – and bottled in November 2016. Sound delicious? Head over to GreatDrams.com, register and get bidding. And who won the match? Laing beat Dillon by three games to one! Sumptuous summer banquet with elegantly balanced Martini-based accompaniments sound like your thing? We know just the place. Vermouth brand Martini has teamed up with London restaurant Palatino to launch a series of ‘Aperitivo Moments’, to be held on Saturday 4 and 11 August, with further activities planned throughout the coming months. Aperitivo, the Italian concept of enjoying a cocktail alongside a light meal with friends, is perfectly embodied in this summer menu. Each lunch comprises a series of fresh, vibrant dishes and four classic Martini Cocktails, specifically chosen to complement the flavours and aesthetic of the meal. Who needs to fly to Milan when you have this on your doorstep? The best bar in the world! Last week the great and the good of the bar world descended in New Orleans for Tales of the Cocktail – the largest event of its kind in the world. Along with all the parties, seminars and networking, the Spirited Awards is a must-attend event, recognising the finest bars (and the people that make them awesome) around the world. And London was representing, with the capital’s watering holes taking home a number of the top awards – including The American Bar at The Savoy, which only went and nabbed World’s Best Bar 2018! Congratulations to the team – and indeed all the winners. Here are a handful of other selected highlight to inform your dream drinking list! A whisky festival almost in space! And finally… Word has just reached us regarding a new whisky festival taking place on Saturday 17 November. Doesn’t sound very newsworthy, does it? Well, the venue for the Leicester Whisky Festival organised by 23 Wine & Whiskey is the National Space Centre in… wait for it… Leicester. Whaaaaat?! We have a National Space Centre? And it’s in Leicester?! Indeed, though those hoping for an East Midlands version of Cape Canaveral are going to be a little disappointed as it’s a museum and educational resource rather than a place where rockets are sent up into space. Still it does feature a building tall enough to contain an entire rocket vertically, and a Russian Soyuz spacecraft which gives you something a little unusual to look at while sipping your dram. We all once held aspirations to become an astronaut, and this is just one degree of separation, right?! That’s a wrap for The Nightcap this week, folks. Happy weekend! Very nice! I really like this article. Very informative and interesting article. Thanks a lot for sharing.